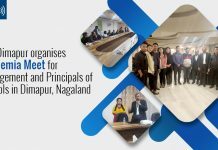 Kohima: National Stock Exchange, India’s leading stock exchange, which entered into a partnership with the Nagaland Board of School Education (NBSE) last year to offer a Financial Markets Management course for students of class XI and XII, is conducting a 5 days teachers training program at Kohima, Nagaland from 6th April to 10th April’15. The training will train teachers of schools affiliated to Nagaland Board who have opted for the Financial Markets Management (FMM) program. The NBSE, set up through an Act of the Nagaland Legislative Assembly, has more than 650 affiliated schools. The Financial Markets Management course commenced from the 2014-15 academic session, and includes lessons on various aspects of the financial markets such as stocks, derivatives and mutual funds. As a part of the Financial Markets Management course, students study four modules from NSE’s Certification in Financial Markets (NCFM) programme. NCFM is an online testing and certification programme run by NSE. It tests the practical knowledge and skills required to operate in the financial markets. This initiative helps students to become financially aware at a young age, and give them an early understanding of the Indian financial markets. 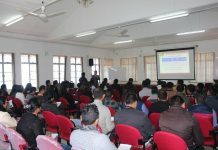 Students from Kohima and other parts of Nagaland can learn about financial planning and help in the growth of the local economy, driven mainly by handicrafts and tourism.